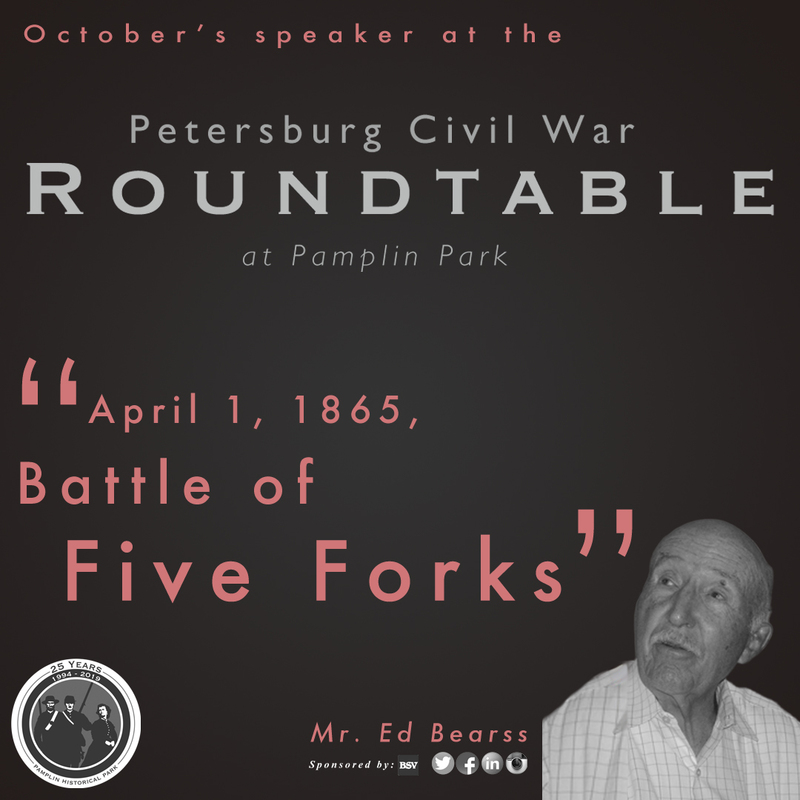 October’s Round Table guest speaker is the nationally recognized award-winning author and historian Ed Bearss. 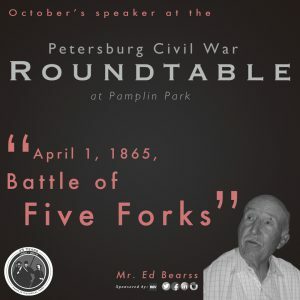 Mr. Bearss will be speaking on the April 1, 1865, Battle of Five Forks.United States Marine Corps veteran of World War II, is a military historian and author known for his work on the American Civil War and World War II eras. He is a popular tour guide of historic battlefields for The Smithsonian Associates. He served as Chief Historian of the National Park Service from 1981 to 1994 and is currently Chief Historian Emeritus.